Now find a broad range of White gold diamond wedding bands in our New York store location. Our aim is to make our buyers feel unique and special with our vast selection of white and yellow gold diamond wedding bands now for sale online and in New York. 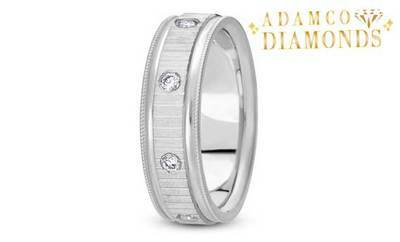 Buy White Gold Diamond Wedding Bands at affordable prices with across New York wide shipping. Order online (https://www.adamcodiamonds.com/product/collections/diamond-wedding-bands) Diamond Wedding Bands or call us @ (212) 921-8388.